← Dial “M” for Merthyr: The Top of the D meets Sarah Thomas. Euro Hockey League, KO16 Preview: Part 1. 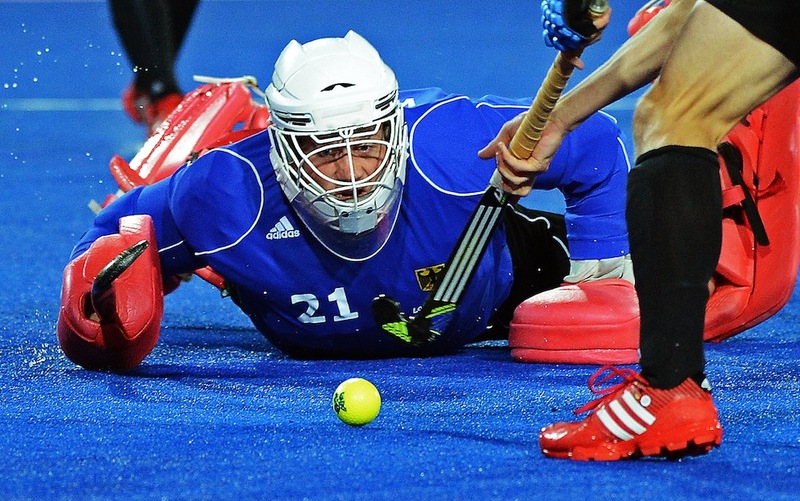 This weekend sees the resumption of the Euro Hockey League with the KO16 all set for Amsterdam. The creme de la creme of European Hockey are ready and raring to go. The Top of the D takes a look a the runners and riders. The German side topped a tight group by virtue of their goal difference after losing to Club de Campo, who themselves suffered a surprise loss at the hands of Dinamo Kazan. They currently sit second in the German league, warming up with a double header this past weekend, beating HTC Crefelder on Saturday before losing to Gladbacher on Sunday. EHL this season: vs. Dinamo Kazan. Won: 4-1. vs. Club de Campo Madrid. Lost 3-4. Players to watch: Jan Philipp Rabente needs little introduction. The 25-year-old midfielder scored both goals in the gold medal match at the London Olympics to clinch the title for his country. Rabente is a talented player with excellent technique who scores important goals. Another Olympic medallist in their ranks is Thilo Stralkowski. A player who sometimes gets overshadowed by his illustrious team mates at international level, Stralkowski relishes being the main man at club level and his goals could easily fire his side to the next round. Kelburne came through their group after beating Austrian outfit Wien 3-1 in their second game, having suffered a trouncing at the hands of the German masters Koln in their opening game. Kelburne sit second in their domestic league, although they have a game in hand over leaders Grange, a game that if they win, will take them to the top of a competition they have won for the last eight consecutive years. EHL this season: vs. Rot Weiss Köln. Lost 1-8. vs. AHTC Wien. Won 3-1. Players to watch: Alan Forsyth has 17 goals to his name this season and will carry the burden of his side’s scoring expectations when they arrive in Holland. Mark Ralph seems to be the man who makes them tick, pulling the creative strings and setting up chances for his team mates whilst chipping in his share of goals too. Koln qualified with something to spare from their group, trouncing both their opponents leaving the other two teams to scrap for the remaining qualification berth. Koln sit sixth in the German league at present but have games in hand on their rivals which could take them up to 3rd place. Koln have a galaxy of stars at their disposal but have yet to make the latter stages of this competition since its inception. They showed in the first round that they are an excellent side, but will they go as far as their talent suggests they should? EHL this season: vs. Kelburne. Won 8-1. vs. AHTC Wien. Won 12-1. Players to watch: Take your pick, really. Christopher Zeller is an obvious candidate as a key player. He is a cold, ruthless goal machine, both from open play and penalty corners. If he is in the mood, which he often is, they will score goals. Although they haven’t been extended defensively yet in this competition, at some stage you would expect them to come under pressure. No problem, as in goal they have Olympic gold medallist, Max Weinhold. Weinhold is a fantastic goalkeeper who when needed, never lets his team down. Leopold surprised a few people with their excellent 3-3 draw with Atlètic Terrassa. Having swept aside the Russian side Izmailovo in their first game, their passage through was relatively comfortable. Leopold currently sit second in their domestic league, although they trail reigning champions Waterloo Ducks by 12 points. EHL this season: vs. Izmailovo Moscow. Won 4-1. vs. Atlètic Terrassa. Drew 3-3. 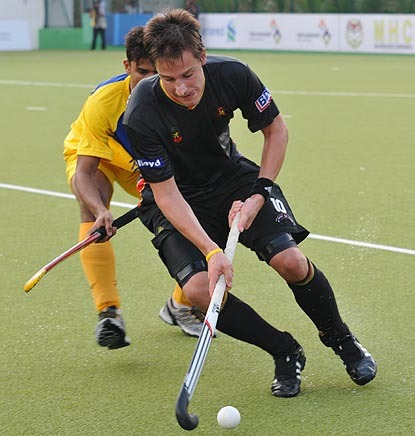 Players to watch: Elliot van Strydonck is the team’s captain and defensive linchpin He is experienced at international level, although he was one of the two reserves for the London Olympics, just missing out on final selection. Van Strydonck has played down his team’s chances of an upset. If they are to pull off a shock the skipper will need to be at his best. Reading’s group was dubbed by some as the group of death. 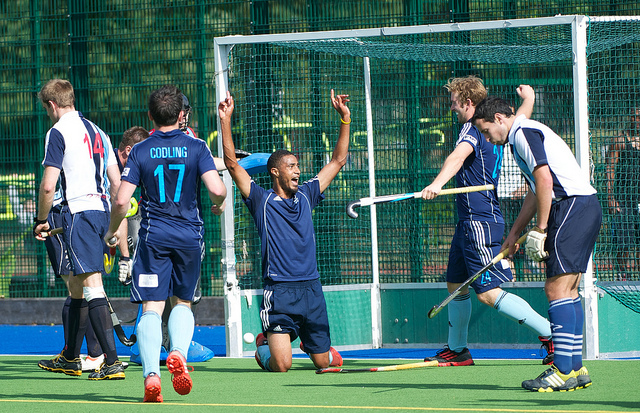 Having lost out to old EHL foes Dragons in a see-saw encounter, the ‘Ding edged out St Germain in a winner-takes-all match that had the fans on the edge of their seats right up until the end. Reading sit third in the domestic league, but must wait and see what their exact playoff fate will be once other games have been completed. EHL this season: vs. Dragons. Lost 3-4. vs. St Germain. Won 2-1. Richard Mantell and Darren Chessman are Reading’s two top scorers domestically this season. Mantell is still a key player due to his distribution, tackling ability and his penalty corner goals. Cheesman is the rabbit-from-the-hat player who causes defences problems with his pace, skill and eye for goal. Both are very important players to the Reading cause. They are one of the true heavyweights of the EHL, Rotterdam crusied through the group stage with an astonishing 13-0 win over Scotland’s Grange and a 2-2 draw with Berliner. Rotterdam currently sit second in the Hoofdklasse and warmed up for the weekend with an eventful 4-4 draw with old rivals Amsterdam in their last league game. They have made the final four of this competition four times since it began in 2007-2008. They have been the nearly men, will they go all the way this time? EHL this season: vs. Grange. Won 13-0. vs. HC Berliner. Drew 2-2. Players to watch: They have plenty of stars but when it comes to this competition it is hard to look beyond one name: Jeroen Hertzberger. Top scorer in round one with six goals, all-time EHL top scorer with 31 goals. 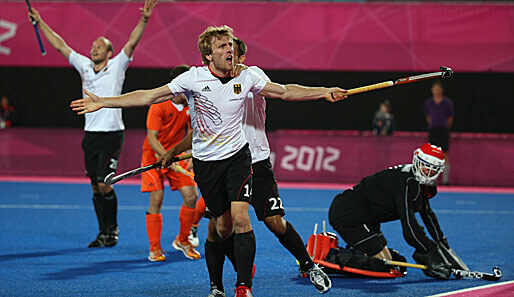 Hertzberger may have missed the cut for the London Olympics but he can’t stop scoring in this competition. He will be the most feared striker in Amsterdam this weekend. That takes care of the first eight sides who will face off against each other this weekend. Part two will follow later on this afternoon. 1 Response to Euro Hockey League, KO16 Preview: Part 1. Oooh, I had no idea this was starting up again this weekend! I didn’t recognise any player names other than Darren Cheeseman. Go Cheese. For some reason, the fact that a team called The Waterloo Ducks aren’t British makes me angry.